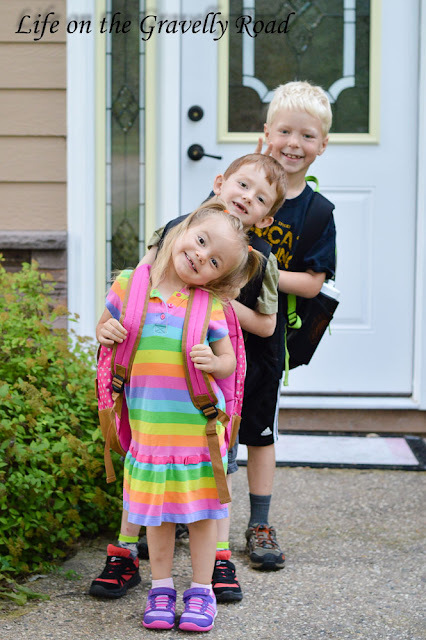 Today marks another beginning of another year of school for our three kiddos - 2nd Grade, Kindergarten and Preschool. Backpacks, clothes and shoes were laid out ahead of time. Breakfast of "flat" eggs and toast was requested by all three. And of course first day pics were taken. Magically even though there was a bit more on our list this morning for a first day, we were all in the car earlier than I expected. No "hurry up" calls up the stairs necessary for today -- likely the only time all year I suspect. Ike starts second grade today. 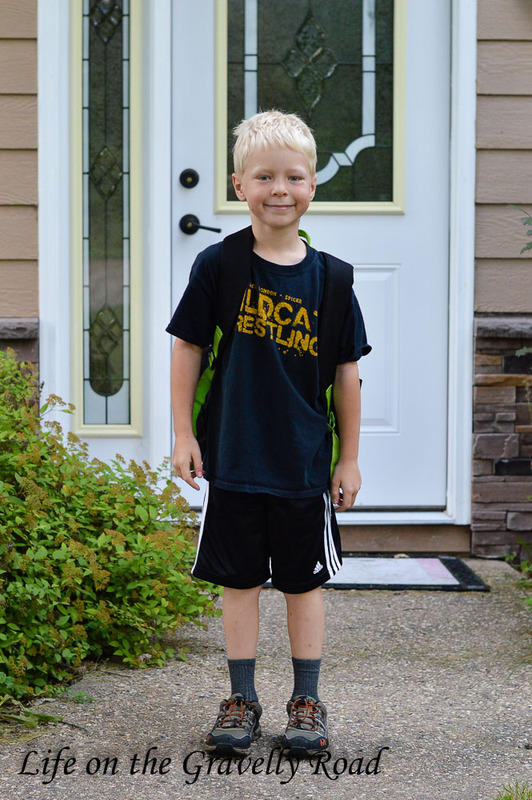 While he wished summer break was longer, he was full of smiles today and looks forward to seeing his friends. He excited to have his brother in the school and they stayed up later than I liked whispering about school stuff. 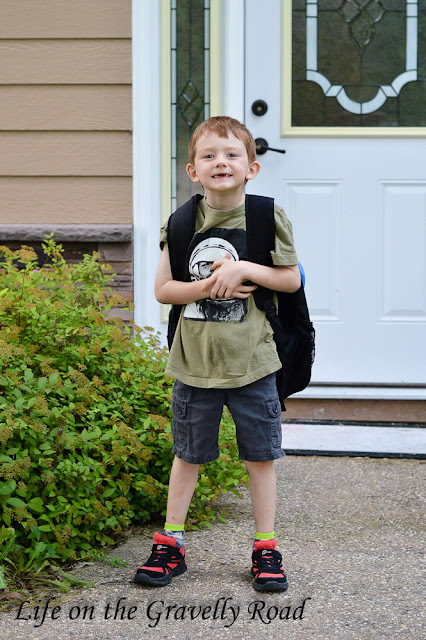 Z-man is starting kindergarten today. He was excited more than nervous which was a blessing for this momma's heart. He is glad he has the same teacher his big brother had and that his best friend is in his class. He is also excited to ride the school bus home with his big brother several days a week. He has a big year ahead of him and we can't wait to see how God uses it. Peaches is in preschool again this year but still big changes for this girl -- a new preschool and 5 mornings a week (compared to last year's 2 mornings). 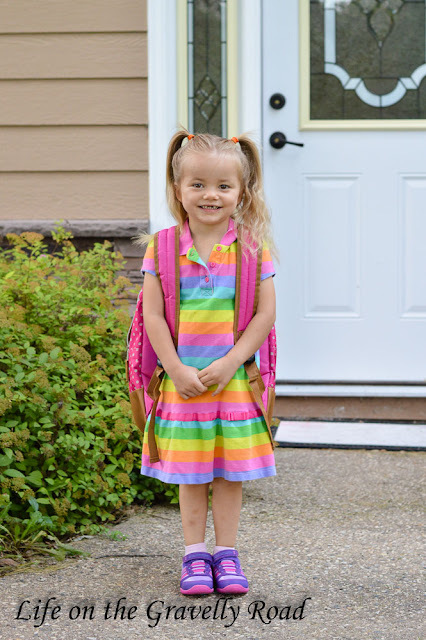 She was nervous as many of her friends from last year are going to kindergarten and she will be making new friends this year at preschool, though we talked about how much she can help her new friends since she already knows how preschool works. When I dropped her off, she was all smiles as she showed her teacher how she could write her whole name (first middle last). Watch over our three as they start and strengthen friendships, face challenges, try new things, handle squabbles with classmates, and discover more about the world and this thing we call education. Guide their words and actions so that they are kind and compassionate to those around them. Surround them with friends that bring out their best so that they can build each other up.